Is Putin Worse Than Stalin? In 1933, the Holodomor was playing out in Ukraine. After the "kulaks," the independent farmers, had been liquidated in the forced collectivization of Soviet agriculture, a genocidal famine was imposed on Ukraine through seizure of her food production. Estimates of the dead range from two to nine million souls. Walter Duranty of the New York Times, who called reports of the famine "malignant propaganda," won a Pulitzer for his mendacity. In November 1933, during the Holodomor, the greatest liberal of them all, FDR, invited Foreign Minister Maxim Litvinov to receive official U.S. recognition of his master Stalin's murderous regime. "Americans will not support those who seek independence in order to replace a far-off tyranny with a local despotism. They will not aid those who promote a suicidal nationalism based upon ethnic hatred." In short, Ukraine's independence was never part of America's agenda. From 1933 to 1991, it was never a U.S. vital interest. Bush I was against it. When then did this issue of whose flag flies over Donetsk or Crimea become so crucial that we would arm Ukrainians to fight Russian-backed rebels and consider giving a NATO war guarantee to Kiev, potentially bringing us to war with a nuclear-armed Russia? From FDR on, U.S. presidents have felt that America could not remain isolated from the rulers of the world's largest nation. Ike invited Khrushchev to tour the USA after he had drowned the Hungarian Revolution in blood. After Khrushchev put missiles in Cuba, JFK was soon calling for a new detente at American University. Within weeks of Warsaw Pact armies crushing the Prague Spring in August 1968, LBJ was seeking a summit with Premier Alexei Kosygin. After excoriating Moscow for the downing of KAL 007 in 1983, that old Cold Warrior Ronald Reagan was fishing for a summit meeting. The point: Every president from FDR through George H. W. Bush, even after collisions with Moscow far more serious than this clash over Ukraine, sought to re-engage the men in the Kremlin. Whatever we thought of the Soviet dictators who blockaded Berlin, enslaved Eastern Europe, put rockets in Cuba and armed Arabs to attack Israel, Ike, JFK, LBJ, Nixon, Ford, Carter, Reagan and Bush 1 all sought to engage Russia's rulers. Avoidance of a catastrophic war demanded engagement. How then can we explain the clamor of today's U.S. foreign policy elite to confront, isolate, and cripple Russia, and make of Putin a moral and political leper with whom honorable statesmen can never deal? What has Putin done to rival the forced famine in Ukraine that starved to death millions, the slaughter of the Hungarian rebels or the Warsaw Pact's crushing of Czechoslovakia? In Ukraine, Putin responded to a U.S.-backed coup, which ousted a democratically elected political ally of Russia, with a bloodless seizure of the pro-Russian Crimea where Moscow has berthed its Black Sea fleet since the 18th century. This is routine Big Power geopolitics. And though Putin put an army on Ukraine's border, he did not order it to invade or occupy Luhansk or Donetsk. Does this really look like a drive to reassemble either the Russian Empire of the Romanovs or the Soviet Empire of Stalin that reached to the Elbe? As for the downing of the Malaysian airliner, Putin did not order that. Sen. John Cornyn says U.S. intelligence has not yet provided any "smoking gun" that ties the missile-firing to Russia. Intel intercepts seem to indicate that Ukrainian rebels thought they had hit an Antonov military transport plane. Yet, today, the leading foreign policy voice of the Republican Party, Sen. John McCain, calls Obama's White House "cowardly" for not arming the Ukrainians to fight the Russian-backed separatists. But suppose Putin responded to the arrival of U.S. weapons in Kiev by occupying Eastern Ukraine. What would we do then? John Bolton has the answer: Bring Ukraine into NATO. Translation: The U.S. and NATO should go to war with Russia, if necessary, over Luhansk, Donetsk and Crimea, though no U.S. president has ever thought Ukraine itself was worth a war with Russia. What motivates Putin seems simple and understandable. He wants the respect due a world power. He sees himself as protector of the Russians left behind in his "near abroad." He relishes playing Big Power politics. History is full of such men. He allows U.S. overflights to Afghanistan, cooperates in the P5+1 on Iran, helped us rid Syria of chemical weapons, launches our astronauts into orbit, collaborates in the war on terror and disagrees on Crimea and Syria. But what motivates those on our side who seek every opportunity to restart the Cold War? Is it not a desperate desire to appear once again Churchillian, once again heroic, once again relevant, as they saw themselves in the Cold War that ended so long ago? Who is the real problem here? 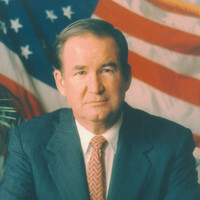 Patrick J. Buchanan is the author of the new book "The Greatest Comeback: How Richard Nixon Rose From Defeat to Create the New Majority." To find out more about Patrick Buchanan and read features by other Creators writers and cartoonists, visit the Creators Web page at www.creators.com.